Line 10 of the Chengdu Metro or Airport Express Line (Chinese: 机场快线; pinyin: Jīchǎng Kuàixiàn), colored sapphire blue and running from Wuhou District to Shuangliu District/Xinjin County. It starts at Taipingyuan and ends at Terminal 2 of Shuangliu International Airport via 6 stations. The total length is 38.2 km. The Airport Express Line was completed in October 2017 and the single trip to the airport only takes 12 minutes from downtown area. Passengers can easily take metro lines to Chengdu Research Base of Giant Panda Breeding within one hour. For different trips, the fare varies from CNY2 to CNY4. The operating hours are from 06:00 to 23:00. This line connects Hongpailou Commercial Zone, Shuangliu International Airport, Shuangliu Airport Bus Station, Shengli Town, Huayuan New City, Huaqiao New City and Xinjin New District. Chinese: 成都地铁10号线; pinyin: Chéngdū Dìtiě Shí Hào Xiàn. 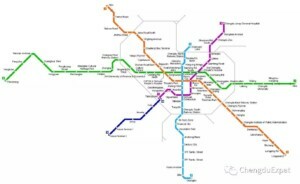 Covering around 27 km (17 mi), phase two of Chengdu subway line 10 will serve the public in 2019 running from Shuangliuxi Railway Station to Xinping via 11 stations. 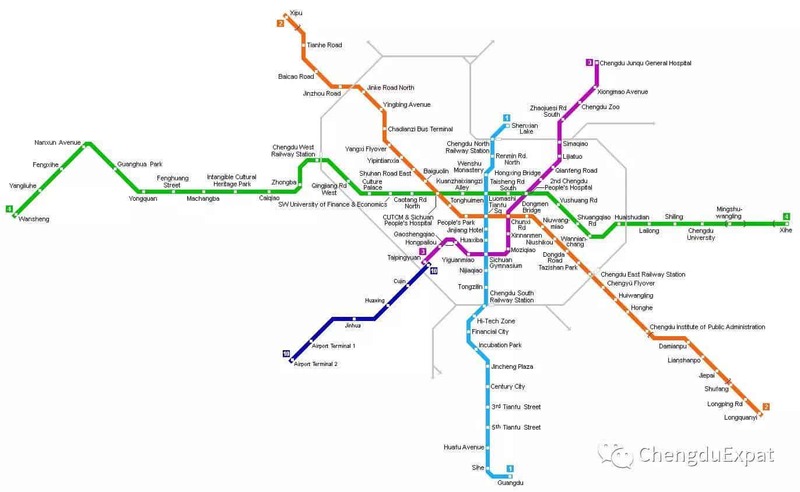 Phase three is scheduled to stretch 6 km (3 mi) via 4 stations from Hongpailou to Renmin Park.